Style Week Pittsburgh has once again recognized a diverse and remarkable group of innovators for its annual #IAMSTYLE campaign which brings together a collective of exceptional individuals who are making strides in the arts, philanthropy and business. This year’s #IAMSTYLE campaign featured 19 influencers and was Photographed by Chelsea Alberti, Directed by J Daniel Barlow and set in Sarah Zeffiro’s, Studio ZART. 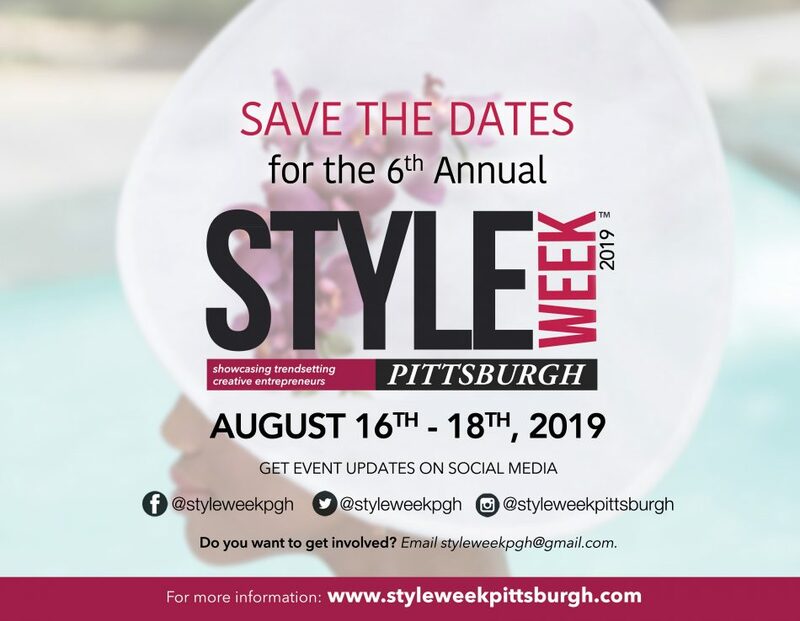 Join Style Week Pittsburgh on Friday, July 13th for a Happy Hour Mixer hosted by First Lady Gisele Barreto Fetterman to celebrate the 19 innovators and influencers selected for the #IAMSTYLE campaign. As part of the campaign, we invite you to get to know these outstanding members of our community and learn more about what they do, why they do it and what they’re doing next. The special location will be announced shortly. Tickets for Style Week Pittsburgh N°5 are on sale here.